Blue-and-White Porcelain: Fancy and Fashion - Bardith, Ltd. Ever since its debut in the West dating back to the fifteenth century, blue-and-white porcelain has won the hearts of Europeans through its smooth surface, vivid decoration, and more importantly, hard and impermeable white body. With the rise of international maritime trade from the seventeenth century and on, a great number of blue-and-white wares from China and later Japan entered the European markets via transnational trading firms such as the established Dutch India Company (VOC). The Dutch had a strong preference for blue-and-white china and often displayed Oriental blue-and-white porcelain in their bourgeois interior space–on the mantelpiece or the cabinets, for instance. 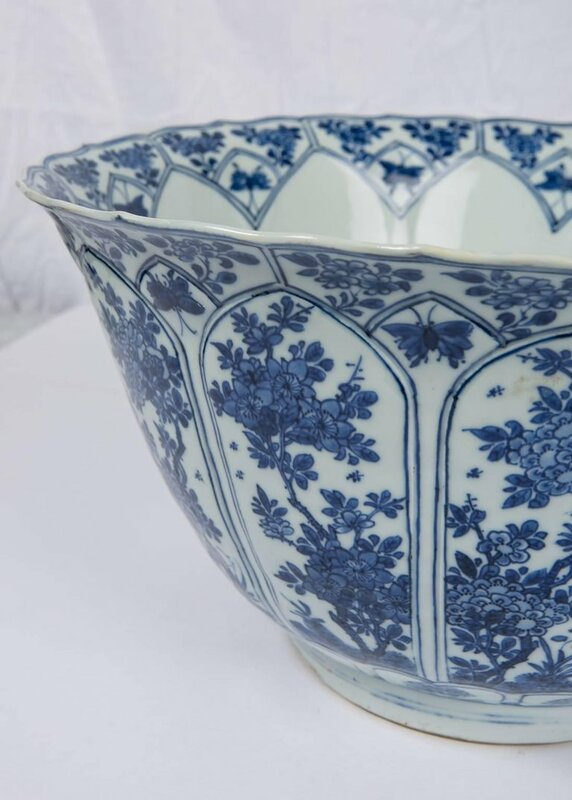 In the mid-seventeenth century when porcelain production in Jingdezhen was seriously disturbed by the political chaos during the Ming-Qing dynastic transition, it was very difficult for the Dutch to obtain lucrative blue-and-white products from China. Instead, they looked for recently-developed Japanese blue-and-white vessels as an alternative. As it was much more expensive and complicated to purchase blue-and-white porcelain from Japan, the Dutch endeavored to manufacture pottery similar to Asian blue-and-white examples with more accessible native materials. Delftware, a type of tin-glazed earthenware, thus flourished in the second half of the seventeenth century. Though working with a less prestigious medium, Delft artisans were proficient in imitating typical Chinese and Japanese decorative motifs found on export blue-and-white pieces. While Oriental porcelain was highly sought after by upper-class consumers, Delft was well received by middle-class patrons who were eager to show their taste with affordable but trendy blue-and-white ceramics. The export blue-and-white porcelain from late Ming and Qing China (ca.1573-1900), unlike the domestic products for emperors and scholar-officials, is often characterized by bold and freehand decoration that exudes a sense of spontaneity. Unbounded by rigid court design patterns and Confucian symbolism, craftsmen managed to create a variety of export porcelain with vigorous and fantastic ornamentation that inspires Western viewers’ endless imagination of the distant Eastern realm.